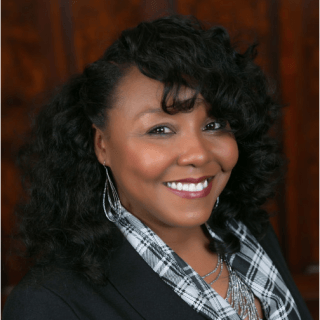 Kalandra N. Wheeler is a trial lawyer with Rob Wiley, P.C. representing employees in Dallas, Houston, and surrounding areas. Ms. Wheeler is dedicated to protecting the rights of employees and helping individuals understand what is often a confusing and stressful process. Ms. Wheeler represents employees with various types of claims, including those brought under Title VII of the Civil Rights Act, the Family Medical Leave Act (FMLA), the Age Discrimination in Employment Act (ADEA), the American’s with Disabilities Act (ADA), and the Fair Labor Standards Act (FLSA). Ms. Wheeler also represents employees in governmental administrative proceedings, including those held before the Texas Workforce Commission and the U.S. Equal Employment Opportunity Commission. A written job description put forth by the employer is not dispositive of job duties at summary judgment in the face of testimony that the job duties were not actually required. A claimant’s own testimony about job duties may be self-serving, but that does not disqualify it as competent summary judgment. An employee’s testimony that she could not remember ever performing a particular job duty, alongside other testimony that it was “virtually never required,” creates a genuine issue of material fact as to whether it was an essential function of the job. An employee being seven months into her pregnancy, coupled with her supervisor’s awareness of her pregnancy and consequent FMLA leave request, is enough to raise a genuine dispute of material fact whether she was terminated because of the leave request.